A career as a nurse offers many rewards. Higher life expectancy among the aging population has created a higher demand for health care professionals, which includes nurses. Statistics from the United States Bureau of Labor Statistics bears record of the growth in the profession. According to a 2017 report, the demand for registered nurses is projected to increase 15% by 2026. Registered nurses form the largest group in the health care team, so the projected growth in the profession is expected. They establish and manage patient care plans, record patients’ medical histories, counsel patients and their families, and advocate for patients. They are the primary link between patients and other medical professionals. The associate degree in nursing, and increasingly, the baccalaureate degree in nursing, prepare students for this challenging but exciting role. There’s much to be said of the rewards of the BSN for nurses, but RNs can truly take their practice to the next level with a Master of Science in Nursing (MSN). The MSN is essential for practice as an advanced practice registered nurse (APRN) in Kansas if you’re new to the field. The Kansas Board of Nursing licenses APRNs in four categories – nurse practitioners (NP), nurse midwife (NM), clinical nurse specialist (CNS), and registered nurse anesthetist (RNA). Nurses practicing in these specialized positions are among the highest paid in the industry. The level of training offered in the MSN program prepares students for positions of responsibility that will attract earnings of $98,200 and upwards each year. The need for professionals to fill these APRN roles is as inordinate as that for registered nurses. MSN graduates will never have difficulties finding employment. The projected growth for these professionals is a whopping 31% through 2026. Even with the proliferation of the MSN program, and increased enrollment, demand still exceeds supply. The demand for nurse practitioners is at an all-time high as they can help fill a worrying gap in the delivery of primary care in rural and urban areas. In Kansas, NPs operate under reduced practice and enter into a collaborative agreement with a state licensed physician. Many other states grant full practice authority to nurse practitioners, which means they can assess, diagnose, order and interpret tests, and prescribe medicines without a physician’s oversight. As more nurses enter the field, competition in the lower end will heat up. Even BSNs can expect challenges when a coveted position becomes available. The hiring pool for management and teaching jobs requiring a master’s degree is smaller, which will improve the chances of selection. Either way, a master’s degree will remove the possibility of becoming caught in a position with no room for advancement. After years of bedside care, many nurses experience burnout and injuries from endless 12 to 18-hour shifts. The MSN is the ticket to management positions that comes with practicable 40-hour workweeks. The MSN program is delivered online to give nurses the flexibility to work and study. With many programs to choose from, nurses can choose one in Kansas or another state based on the intended area of study. The elite programs admit nurses holding a bachelor’s degree in nursing, but there are programs that accommodate nurses with an associate degree who want to take the fast track to a master’s degree in nursing. Upon completion of the program, nurses can advance their study by completing a doctorate degree in nursing. The MSN program will give you the opportunity to focus on a specialized area of nursing. Nurses typically enroll in the program to prepare for an advanced practice role. Since advanced practice nurses have a higher level of responsibility in the clinical setting, the program covers the academics and skills that will enable nurses to function as experts in their chosen area of study. The curriculum allows specialization in various populations of patients, including pediatrics, neonatal, adult gerontology, women’s health, family, acute care, orthopedics, psychiatric and mental health, and emergency response. Your choice of specialty will influence the direction of your career, so consider your area of interest before you begin your search for a program. With any luck, it won’t be a difficult decision. Your experience as a registered nurse should shed some light on the areas of practice that you dislike and those you enjoy most. Secondary to your likes and dislikes is the industry demand. The competition is greatest with generalized specialties like women’s health or family health. Highly specialized areas will require more study but will help you to distinguish yourself from other APRNs. If you’re uncertain, you can choose a generalized specialty then go back to school to prepare for a specialty through the post-master’s certificate. Other secondary considerations include the salary and flexibility. The specialty you choose will impact your eventual salary and your ability to practice across various settings. Depending on the university, both ADN and BSN nurses can enroll in the master’s program. Part-time and full-time options are available. 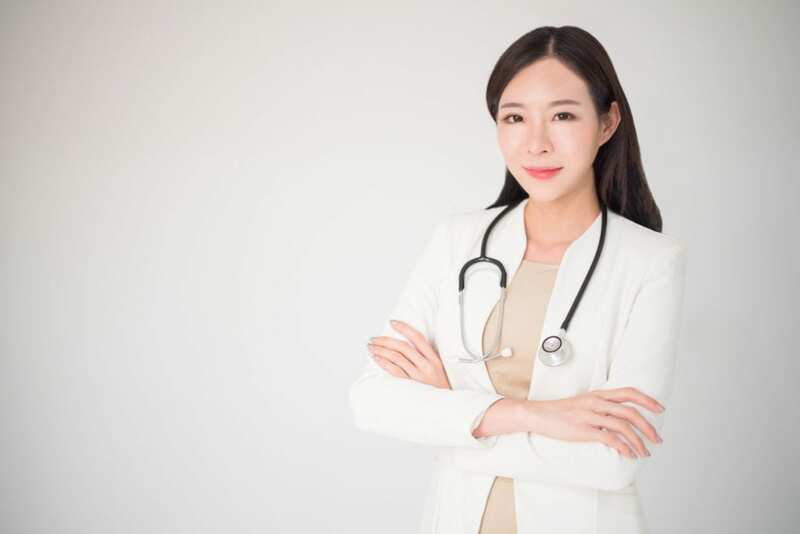 While the bulk of the academics is delivered online, the program requires participation in a clinical experience covering at least 600 hours of specialized practice in a clinical setting. The time it takes to complete the requirements for the degree depends on your starting point – whether you’re enrolling with an associate’s degree or master’s degree in nursing. The multiple points of entry are what distinguishes nursing programs from other traditional masters programs. RN to MSN: Nurses holding an associate degree in nursing who are high achievers can enroll in the RN to MSN and obtain both a BSN and MSN in a single plan of study. The required 72 credits can be completed in as little as 3 years as students take graduate and undergraduate study at the same time, thus saving time and money. Direct Entry MSN: Nurses holding a bachelor’s of science in nursing can use this direct entry pathway to obtain a master’s degree in nursing. Students will complete general courses before the specialized courses to prepare for an advanced practice role and population focus. Post-Master’s Certificate: The post-master’s certificate program is designed for RNs with a master’s degree from an accredited program. It lets them prepare for a new clinical role related to or different from their current role. The goal of the program is accomplished through academic study and clinical coursework comprising of at least 300 hours supervised clinical care. Graduates may be eligible to sit a national exam for certification in the specialty and population focus. Going on to an advanced degree can drain your physical, mental, and financial resources. If you’re primarily challenged by the cost of the program, keep in mind that nurses with a master’s degree will earn more as their responsibilities increase. The online delivery will decrease your expenses as you’ll eliminate the cost of getting to and from a traditional campus. Through accelerated options, you may also be able to complete the program in less time and further reduce your cost. The average cost of tuition per credit at public universities is $399 per credit hour. ADN nurses must complete approximately 72 credits to complete the requirements, and BSN nurses will complete approximately 39 credits. Licensure in Kansas is mandatory for practice as an advanced practice registered nurse (APRN). It is illegal to practice as an APRN without a renewable license or temporary permit that has been issued by the Kansas State Board of Nursing. Applicants for APRN licensure must have a current license to practice as a Registered Nurse in Kansas. Complete the Application for Licensure online or print and complete the application in black or blue ink. Make sure to fill out all blanks unless there is an optional field that does not apply. Mail the original application to the Board’s address – provided below. Sign and date the application. Provide a valid social security number to receive a license to practice nursing. No license or temporary permit will be issued without a valid SSN. Attach the application fee in the form of personal check, money order, or cashier’s check made out to the Kansas State Board of Nursing. The fee for an NP, CNS, or NMW is $50 or $100 with a temporary permit. The fee for RNA is $75 or $110 with a temporary permit. Online payments may be submitted using credit or debit card or electronic check. Request an official transcript with the degree posted to be sent from the school directly to the KSBN. The Board requires a graduate degree in nursing (master’s degree) in one of the four roles of advanced practice based on the date the candidate completed the program. The transcript must also include your legal name, date of graduation, and degree awarded. The transcript may be mailed to the Board’s address or sent electronically. Nurse practitioner: Complete a board-approved post basic nursing program that emphasizes preparation for the role of a nurse practitioner. Candidates completing the program after July 1, 1994, must hold a baccalaureate or masters degree in clinical nursing. Candidates completing the program after July 1, 2020 must have a masters or higher degree in clinical nursing. Clinical nurse specialist: Complete a board-approved post basic nursing program that emphasizes preparation as a clinical nurse specialist. Candidates completing the program after July 1, 1994, must have a baccalaureate or masters degree in clinical nursing. Candidates completing the program after July 1, 2002 must hold a masters or higher degree in a clinical area of nursing. Nurse midwife: Complete a board-approved post basic nursing program that emphasizes preparation as a nurse midwife. Candidates completing the program after July 1, 2000 must have a baccalaureate or higher degree in nursing. Candidates completing the program after July 1, 2010 must hold a masters or higher degree in midwifery. Nurse anesthetist: Complete a board-approved post basic nursing program that emphasizes preparation as a nurse anesthetist. Candidates completing the program after July 1, 2002 must have a masters degree in nurse anesthesia. Applicants for licensure as an RNA must provide verification of successfully completing the National Certification Exam administered nu the National Board of Certification and Recertification for Nurse Anesthetists. Applicants for licensure as an RNA or NMW must carry malpractice insurance and pay a surcharge to the State of Kansas Health Care Stabilization Fund. If you answered “yes” to any questions that require documentation, provide the relevant documents for the affirmative responses. An explanatory letter is required for each conviction and/or disciplinary action. Complete a criminal background check before licensure. The fee is $48. The live scan of your fingerprint may be taken at the BSBN office. An appointment is required, and the fee for fingerprinting is $7.50. Alternatively, you may request the Fingerprint Card and Waiver from the Board’s website to have the forms mailed to you. Upon receipt of the documents, you may complete fingerprinting at a local police station. Applications will be active for six (6) months only. It will expire six months after the Board receives the application. Upon expiry, the applicant will be required to file a new application with the appropriate fee. The Board may grant a temporary permit at its discretion and does not guarantee licensure. The nonrenewable permit gives candidates for licensure the privilege to practice in an advanced practice role while the application is in process. The permit will be valid for 180 days or until the permanent license is issued. Applicants must submit a completed application for APRN licensure, criminal background check fingerprint/waivers and fee, and proof of education. The temporary permit may be denied if you have been under investigation or have disciplinary action pending in Kansas or another state, misrepresent information on the application, physically, emotionally, or sexually exploit a child or vulnerable adult, or violated a protection from abuse order or protection from stalking order. If you graduated from a nursing education program outside of the United States, you must submit your educational and licensure credentials to be evaluated by the Commission on Graduates of Foreign Nursing programs (CGFNS) or another credentialing agency that is approved by the KSBN. TOEFL results sent directly to the KSBN from the testing agency using code number 9149 in the results reporting list. The minimum scores required are writing – 20, speaking – 20, reading – 19, and listening – 20. A completed application for APRN licensure. A satisfactory criminal background check. Nurse practitioners wishing to prescribe schedule III-V controlled substances and schedule II controlled substances must establish a written protocol authorized by a physician. The provisions for prescriptive authority enables the nurse practitioner to autonomously manage patient medical plans. The NP must hold a signed affidavit of authorization for collaborative practice with a physician that is licensed in the State of Kansas. The affidavit must clearly indicate the name of your collaborating physician along with your name and contact information for both of you. Keep a hardcopy of electronic copy in your place of practice at all times. A written protocol outlining a medical plan of care for each classification of disease for which you will prescribe drugs and the specific drugs you are authorized to prescribe must also be kept on file. As an APRN, you must complete 30 contact hours of approved continuing nursing education (CNE) related to their advanced practice registered nurse role during each cycle. You must keep a copy of the CE certificates to present to the KSBN if you are selected for an audit. The CE requirements must be completed at a board-approved provider. APRN licenses must be renewed on the same biennial cycle as that of registered professional nurse licenses. Your license will expire on the last day of your birth month – in an even or odd numbered year based on your birth year. You may renew your license online or complete and mail in a renewal form. The fee for biennial renewal is $55. The fee does not include the cost of renewing your registered nursing license.